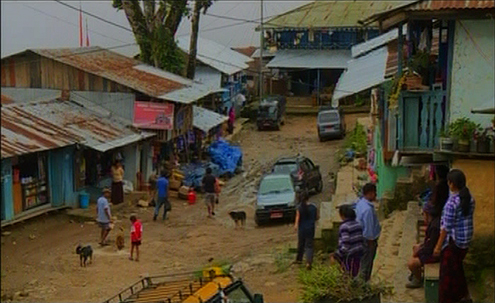 For many years, locals expected Dagapela to be a thriving town in Dagana. Instead, it was Lhamoidzingkha that was declared as the Yenlag Thromde. The decision has disappointed many of them. They say Dagapela town has more potential to be a Yenlag Thromde than Lhamoidzingkha. According to them, it is ideally located and could benefit not only the shopkeepers, but also people of five gewogs under the Dzongkhag.“Lhamoidzingkha has only three gewogs,” said Dagapela’s Business Community Tshogpa, Nado. Dagapela has not seen any development till now. The town needs infrastructures like roads, waste management, and drainage system, among others. In the meantime, gups of five gewogs, including the Chairperson of the Dzongkhag Tshogdu, have also expressed their support to merge Dagapela town with Dagana town. The proposal will be sent soon to the Ministry of Works and Human Settlement after Dzongkhag Tshogdu endorses it. Bal Bahadur Rana says a merger is the alternative if Dagapela town is to thrive.